An open letter to the CFTC: Is a foreign power controlling Comex gold prices? We would like to bring to attention four issues that need to be addressed in gold and silver futures trading. 1. 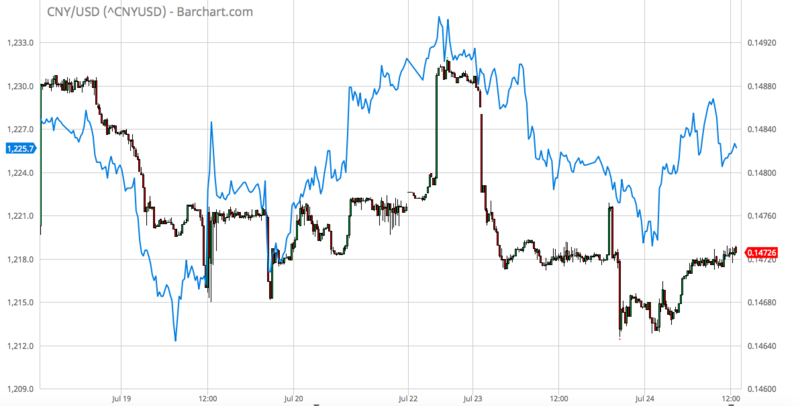 For the second straight month, there has been a huge discrepancy between the preliminary gold open interest and the final number recorded on particular trading days. Let us examine the one that just happened: July 26. There was a preliminary Comex gold open interest gain of 3,349 contracts to 503,493. But there was a final Comex gold open interest loss of 14,443 contacts to 485,701 -- a discrepancy of 27,792 contracts. The open interest here is already 24 hours old. Our understanding is that these contracts are canceled for nonpayment. It would be almost impossible for such a large number of voided contracts not to have influenced the price of gold, especially when there was a raid on the Comex by the banks. 2. The huge issuance of "exchange for physical" settlements. For quite some time we have been told by a CFTC official, Deputy Enforcement Director Matthew Hunter, that this was quite legal as these settlements were deliverable. But in our last email exchange with Hunter he wrote that these EFPs were not deliverable. The CFTC really should provide a thorough accounting of EFPs and explain how they settle contracts. 3. The gold Comex shows a huge open interest of 43,000 contracts remaining with one day before first notice day. So there likely will be a huge amount of gold contracts standing for deliver for the August contract month -- probably 31 to 62 tonnes -- with only 7.8 tonnes of registered gold at the Comex and with no gold having entered the Comex for some time. 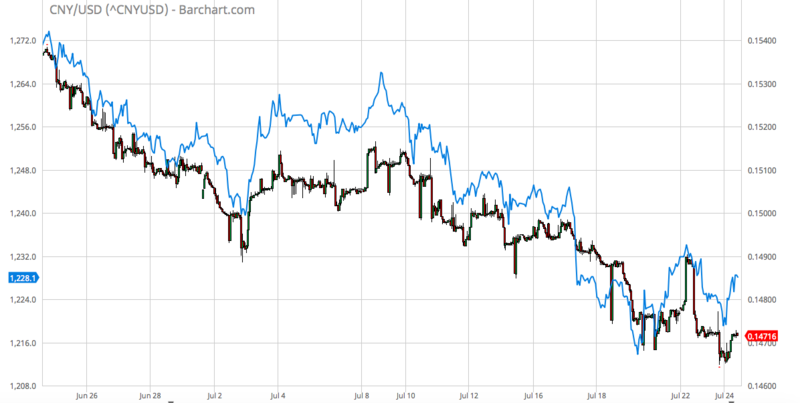 How could the banks throughout the last month have depressed the price of gold amid such huge physical demand and a tiny registered gold inventory available to settle? 4. For the past month there has been a direct correlation between the value of the Chinese yuan and the price of gold. That is, the higher the yuan, the higher the price of gold and especially vice-versa. The value of the Chinese yuan is essentially controlled by China's central bank. The Comex is generally considered the primary authority in pricing gold. "This is not a correlation searching for a cause, nor is it a simple act of 'traders' reacting to a falling yuan by selling digital gold. No, in a market the size of global gold, this immediate correlation can be accomplished only through massive interventions, the size and scope of which are possible only at the state/sovereign level. And which state/sovereign would have a direct interest in linking the dollar price of gold to the yuan? China, of course." So how does the CFTC allow a foreign government or entity to control the price of this important commodity and currency by trading in U.S. markets? Or is market manipulation by a foreign power happening with the authorization of the U.S. government?